Asian tiger mosquitoes, or Aedes albopictus , are very aggressive daytime biters and feed on a number of hosts, preferably human! The female, when out looking for a blood meal will also target birds, domestic and wild animals. With their ability to transmit debilitating, even deadly diseases with a single bite it’s no wonder they are considered such a health threat and regarded as the most significant nuisance mosquito worldwide. 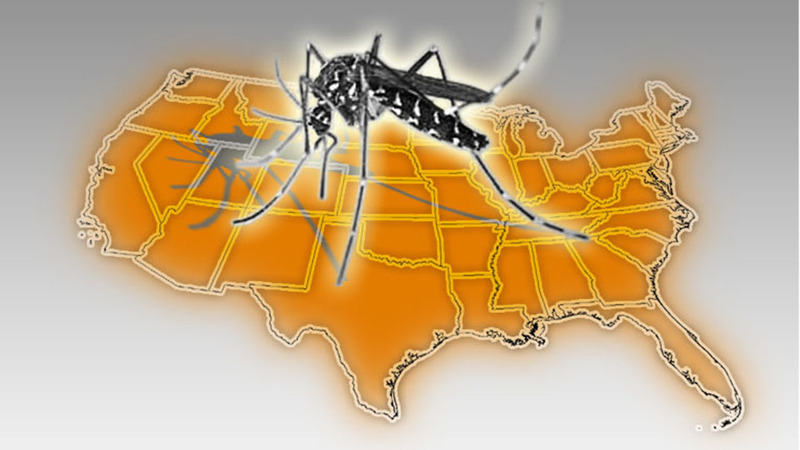 Asian tiger mosquitoes are known disease-carriers or ‘vectors’ of Chikungunya, Dengue, West Nile virus, Rift Valley fever and Yellow fever to name a few – no wonder they’re viewed as “America’s Most Unwanted” species. Easily identified by its distinctive white striped legs and body, the Asian tiger began it’s global voyage in Southeast Asia before winding up in the U.S. where it is thought to have entered the country at the Port of Houston inside a shipment of used automobile tires. It then spread out along the interstate highways, wherever tires were stored or dumped, laying its eggs in those round, sheltered rubberized cavities supplied by human beings, or in anything else that would hold water. The species has thrived in both urban and suburban environments and the Tiger’s U.S. territory now includes the entire southeast, from the Gulf of Mexico across the south and more than halfway up the Atlantic coast. Officials believe the chances of eradicating it from the US are slim and the Asian Tiger mosquito now looks set to become a permanent fixture there. To gain a better understanding of the species, the Center for Vector Biology (Rutgers University NJ, USA) organized and hosted the first “International Symposium on the Asian Tiger Mosquito” in February 2009, attracting 170 participants from 15 countries and 30 U.S. states. The most effective method of controlling the Asian tiger is to stop them breeding. This can be done by removing all their most popular breeding sites – standing water, however little, anywhere – and daily trapping during the season which will interrupt breeding cycles, dramatically reducing mosquito populations and even the number of eggs hatching the following season. Mega-Catch™ set out to build the best mosquito trap on the market; conducting extensive research and a worldwide testing program to achieve this. One of the primary objectives was to develop a trap which would attract and capture the Asian tiger mosquito. They engaged Professor Yap Han Heng from the Vector Control Research Unit, School of Biological Sciences, University Sains Malaysia to advise on and test Mega-Catch™ trap designs in South East Asia. Tests he conducted in a reserve forest at Minden Campus, Malaysia in the Penang Island concluded that Mega-Catch™ traps were effective against the Asian tiger mosquito in outdoor conditions in tropical environments. Unlike conventional mosquito traps which rely on various chemicals to attract mosquitoes, Mega-Catch™ traps employ a wide range of visual stimuli to attract mosquitoes. This is particularly important in the case of the Asian Tiger, which are aggressive, often attack in packs and unlike most mosquitoes, bite during the day. The Asian Tiger can be a particularly difficult species to catch and uses visual cues to select its target. It is attracted to dark colors, especially black. Trap location is also crucial according to published study in PLOS One. It reported that trap placement significantly affected the number of Asian Tiger mosquitoes captured with catch rates in shade or partial shade over three times higher than those in areas exposed to the sun.